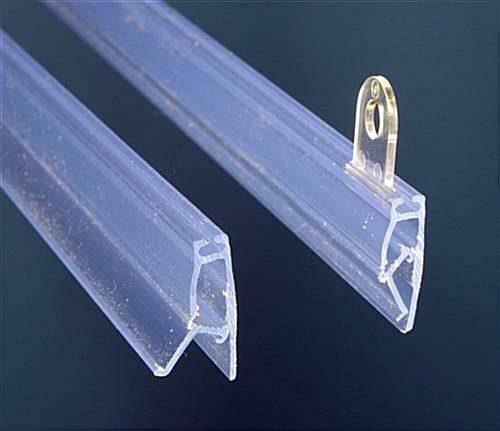 This Sign Supply is a Lightweight but Durable Banner Rail! Commercial Sign Supply Company Sells Sign Making Kits at Wholesale Prices! Buy Sign Making Equipment for Your Company Now! 18" 22" 24" 30" 36"
This sign supply is not your ordinary plastic poster holder. The patented sign supply provides a sturdy display for those that are tired of replacing cheap plastic frames or don't want to use heavy metal frames. 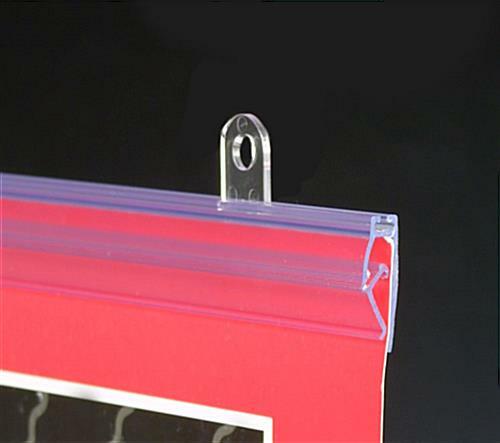 This banner hanger, sign supply, makes it easy to change graphic inserts. Ease of use and durability are just two of the reasons these sign supplies are becoming very popular with many companies. This sign supply attaches to the ceiling to create a distinctive display that cannot be missed. This leaves valuable wall space for more permanent displays. 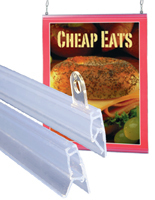 Grocery stores, restaurants, libraries, schools, and larger department stores are all advertising with these durable plastic sign supplies. Try this patented sign supply in your business. 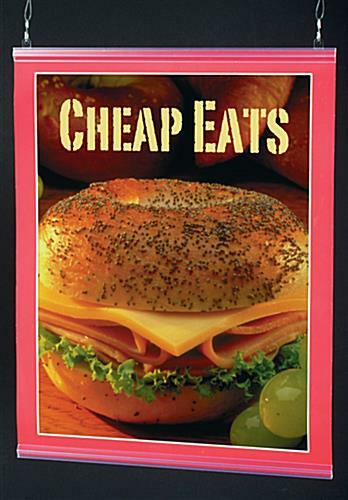 This inexpensive sign supply for sale online is a quality product that is well worth the price! Top Rail with two (2) attached eyelet clips. The clips slide to where you need them. It really is amazing to see how strong this sign supply holds advertising signs of all compositions. Check one out for yourself! These quality sign supplies for sale in bulk or individually are what every business needs to effectively communicate with customers.